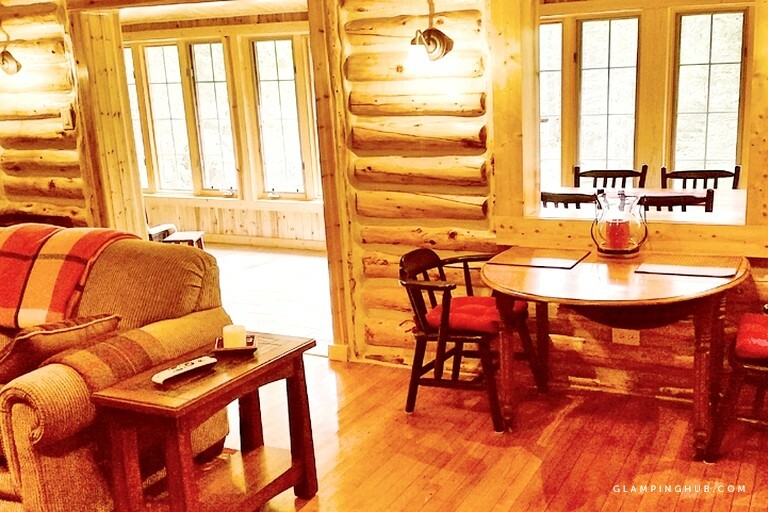 This riverside log cabin rental is set along Big Creek River—known for its plentiful trout, wildlife, birds, and legendary beauty—near the Huron National Forest in Michigan. 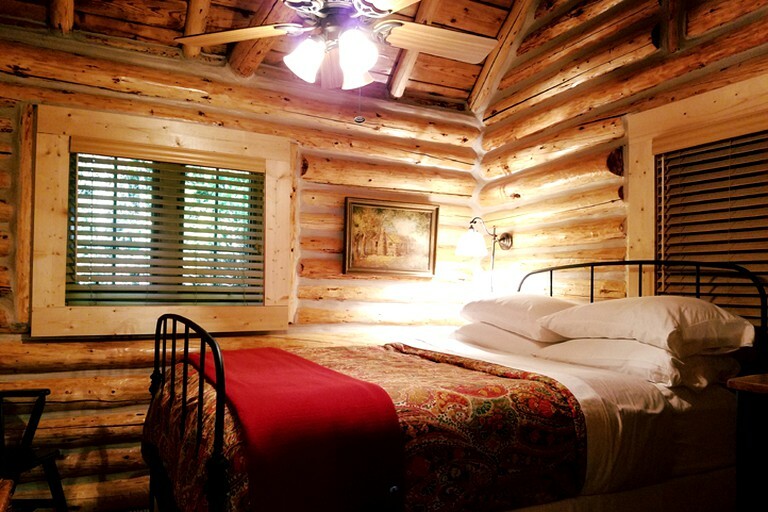 It is a vintage (1930), luxury, four-season, romantic accommodation in the Au Sable River Valley, where up to four guests can relax in classic comfort. 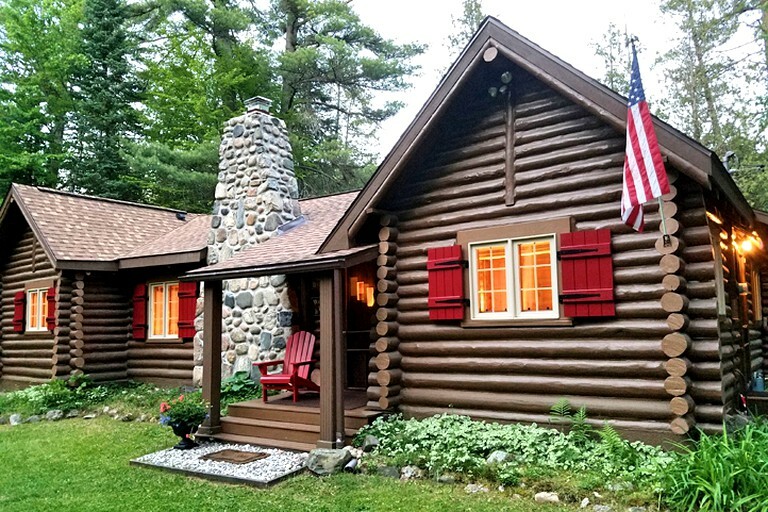 This three-bedroom, one-bath log cabin that offers all of the upscale comforts of home while providing a rare and historic north woods romantic atmosphere. 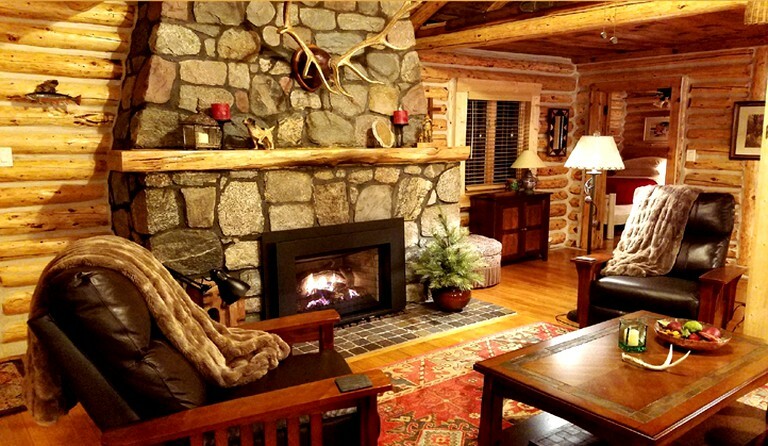 Enjoy the cozy great room layout with its leather recliners, massive stone fireplace, and original amber-aged logs and log beams. 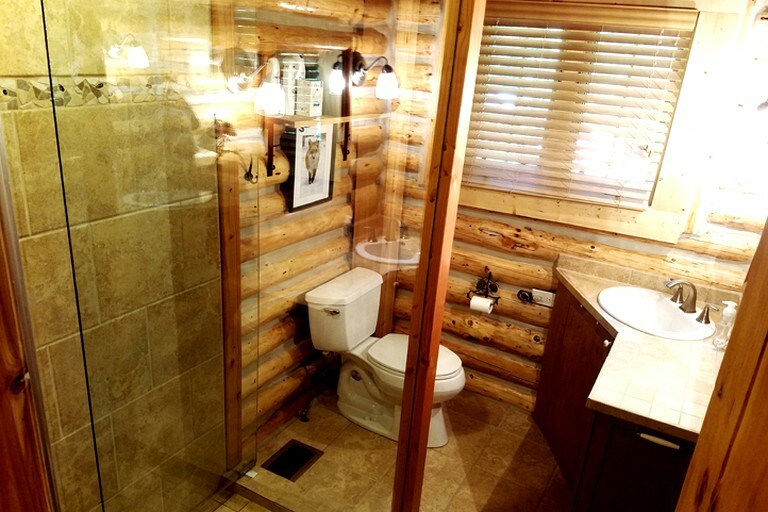 The kitchen and bathroom have been tastefully updated, maintaining the historic charm of the log lodge while integrating many of today's luxury touches we've all come to expect. 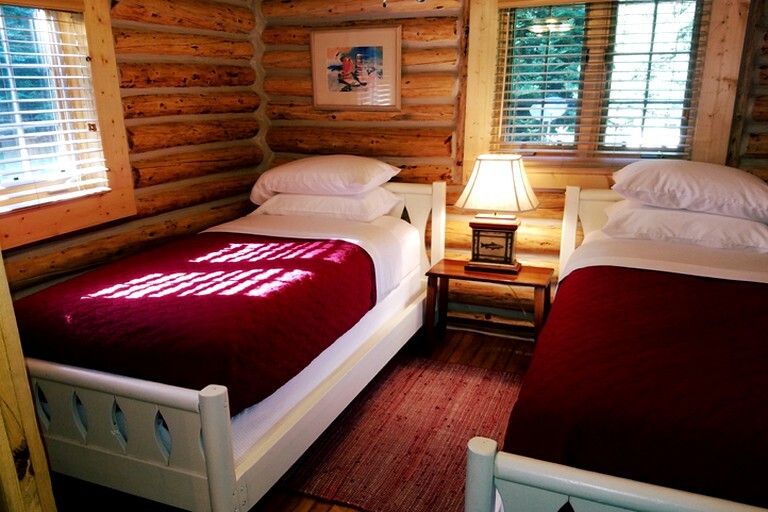 The first bedroom offers up a queen-size bed, the second provides a double bed and the third offers two twin beds. 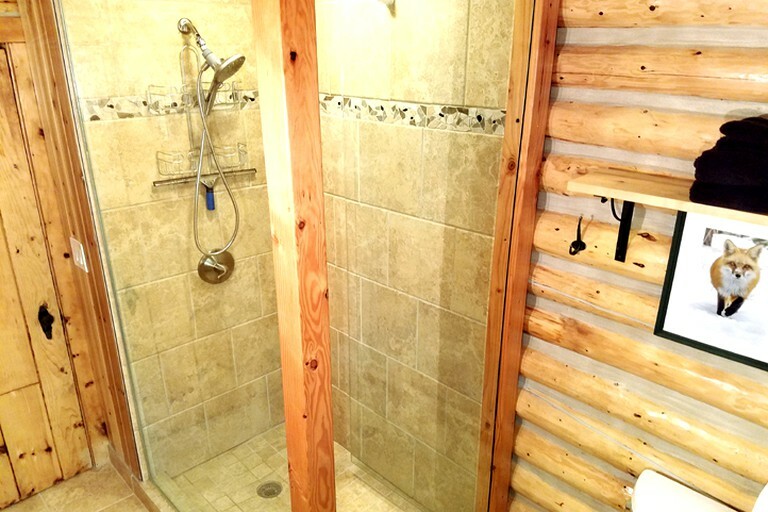 Guests will have one bathroom with a shower, a fully-set kitchen and a spacious living room. 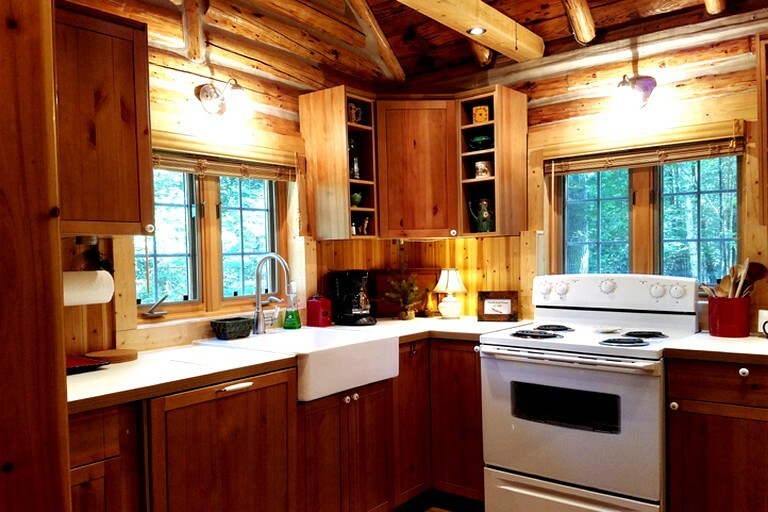 The kitchen provides guests with a coffee maker and a coffee grinder, as well as all dishes and utensils, cookware and a microwave. 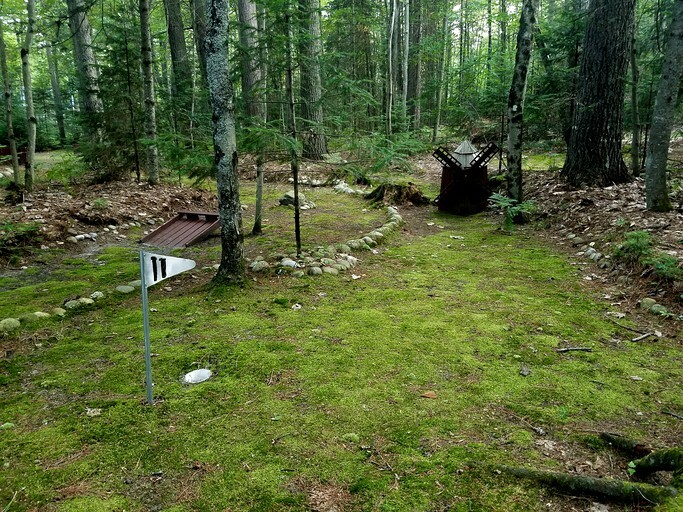 Additional appliances include an oven, a refrigerator, a stove, and a toaster. 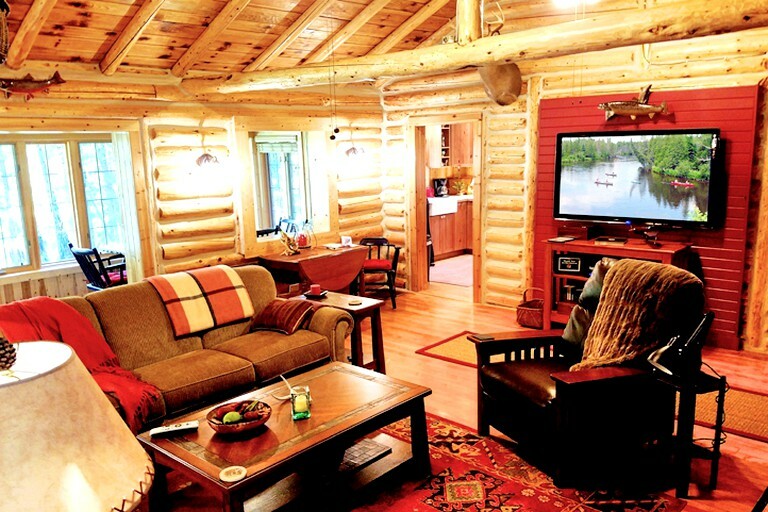 The living room comes with plenty of games, a television, and a DVD player. 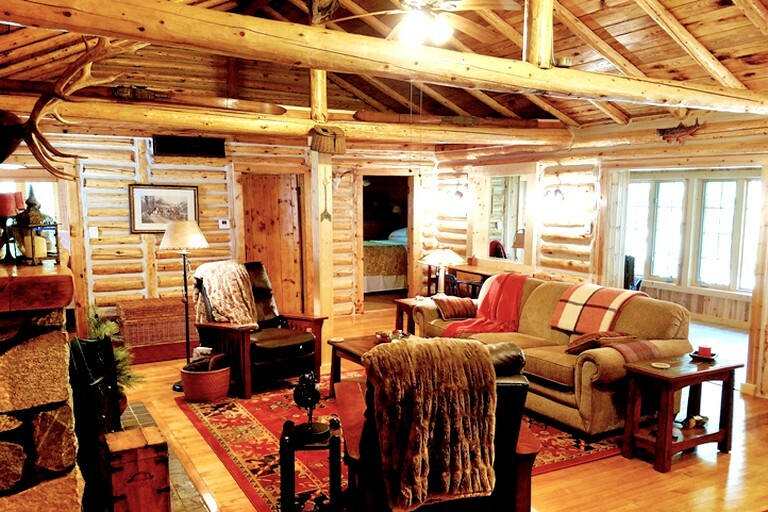 This is a private, secluded, luxury log cabin property with all of the comforts of home for year round enjoyment (air conditioning, heating, and gas fireplace). Linens and towels are provided. 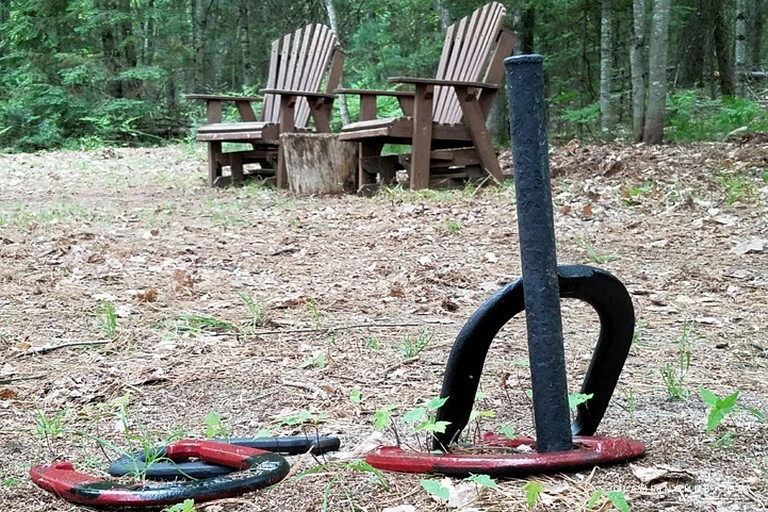 Guests have 100% use of the property. 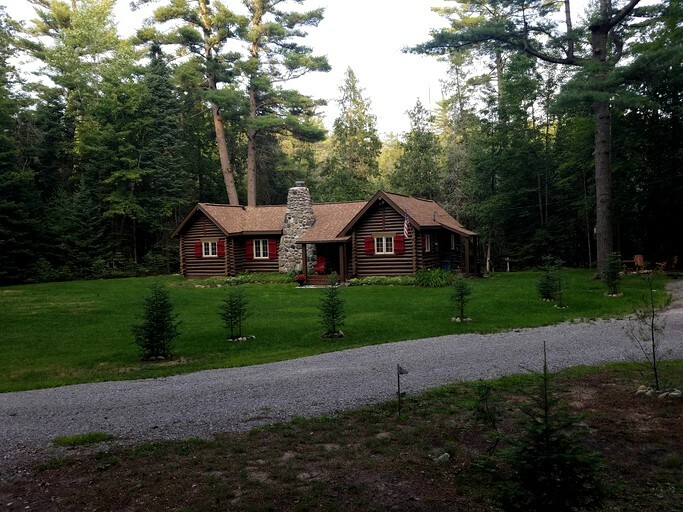 Furthermore, the property's caretaker lives within a few minutes of the lodge and can help with virtually any problem or need on short notice. 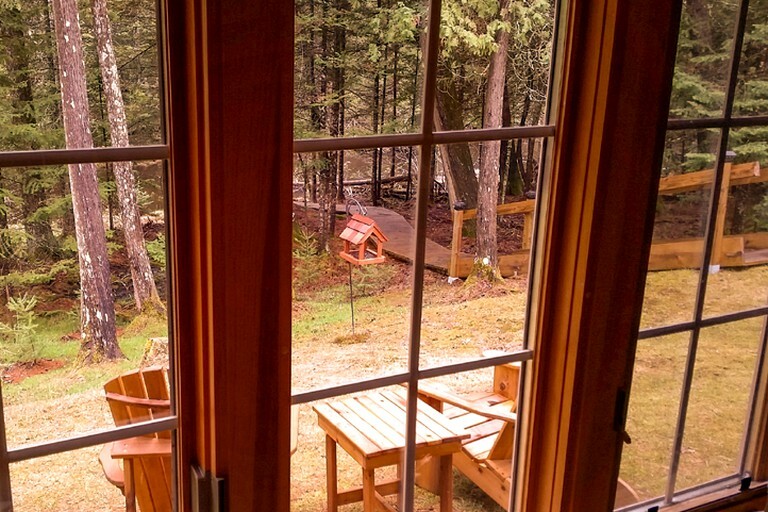 Enjoy a cup of coffee or glass of wine while viewing the scenic river and constant river wildlife from any number of locations including the rear lodge sunroom, outdoor fire pit, riverside deck, or simply from one of the bedroom windows. 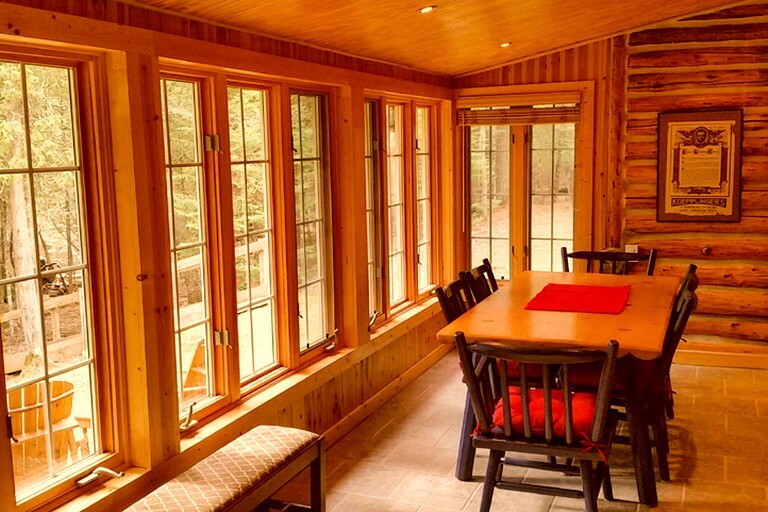 No matter the season, the atmosphere of this accommodation is ideal for virtually any occasion. 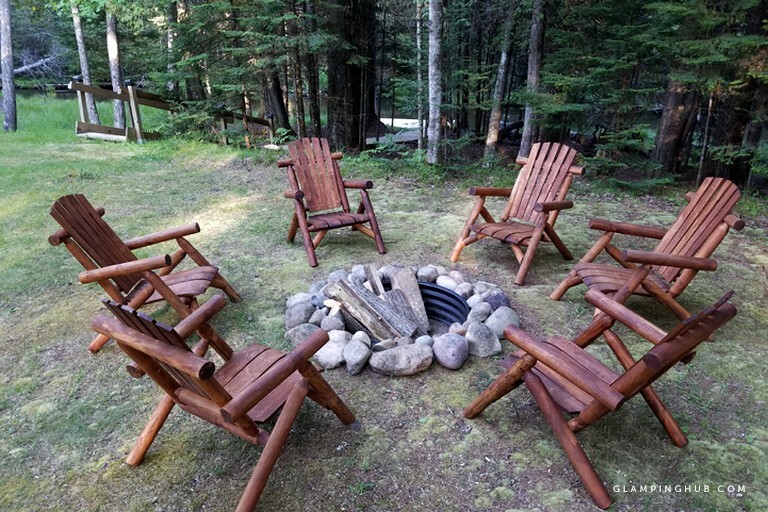 This glamping property is a vintage (1930), luxury, four-season, romantic, riverside log cabin located in the Au Sable River Valley, just 70 feet from Michigan's treasured Big Creek River, known for its plentiful trout, wildlife, birds, and legendary beauty. 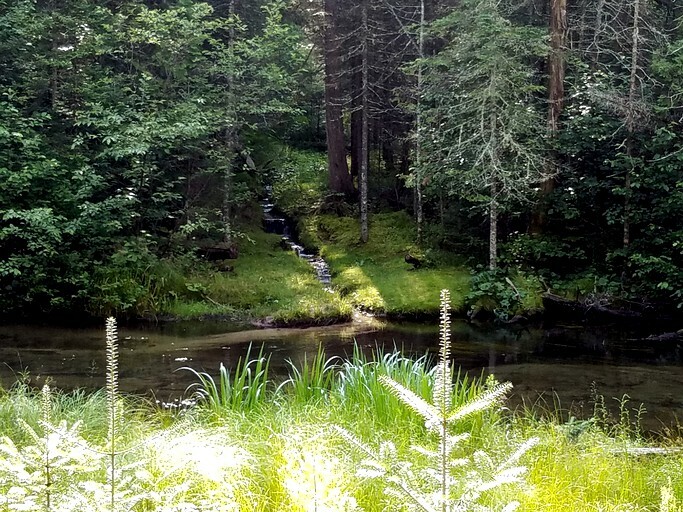 The region is known for its wildlife, blue ribbon trout fishing, canoeing, tubing, kayaking, and overall beauty. In the winter months, experience the regions snowmobiling, cross-country skiing, snowshoeing, and downhill skiing. 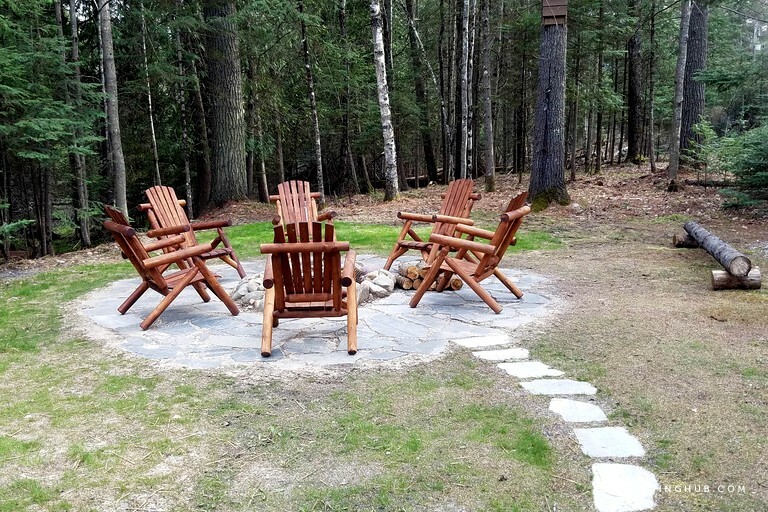 In the warmer months, common outdoor activities in the region include fishing, hiking, bird watching, canoeing, kayaking, tubing, golfing, ATV trail riding, and horseback riding. 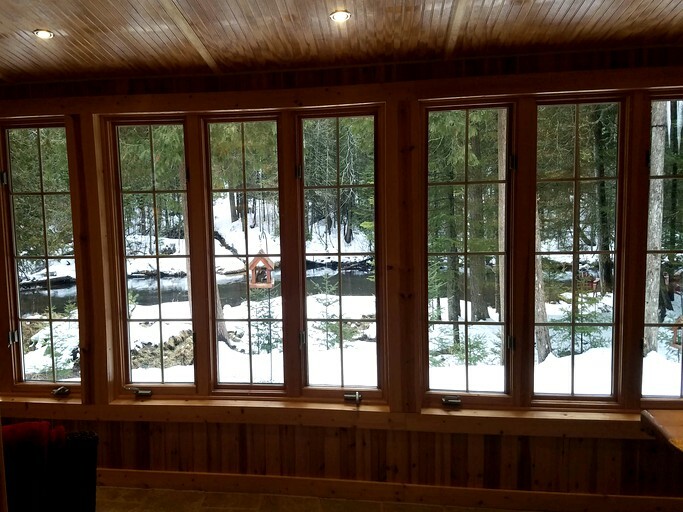 In the winter months, things don't slow down as the temperatures, snowfall, and terrain make an ideal winter wonderland for hunting, snowmobiling, cross-country skiing, snowshoeing, and even downhill skiing. 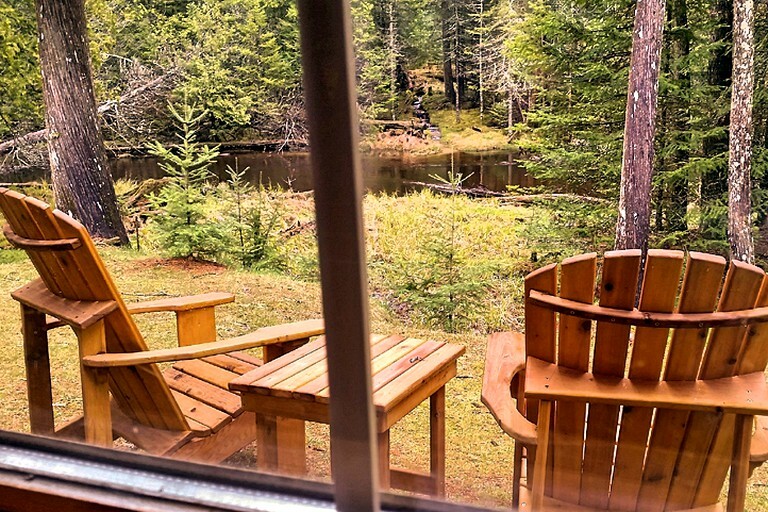 The area is rich with outfitters supporting all canoe, kayak, snowmobile, horseback, skiing, and fishing interests; along with other convenient services such as car spotting and livery options to maximize guests' vacation experience. 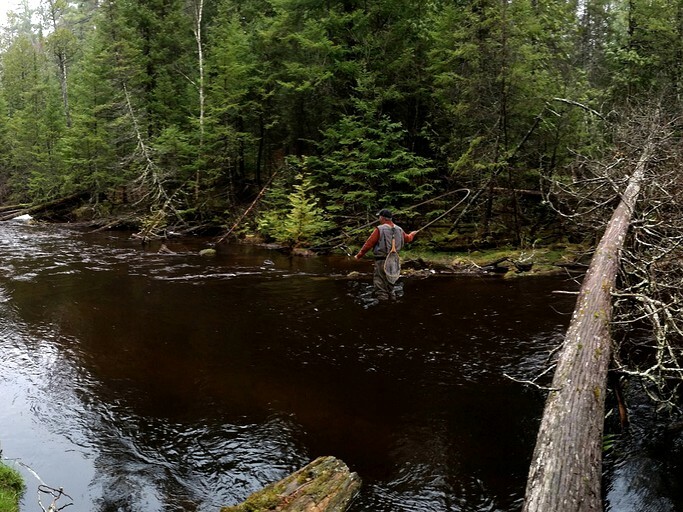 Lastly, fly fishing enthusiasts have long considered the Au Sable Valley region as a must visit destination. Guests will quickly appreciate the romance of this region. 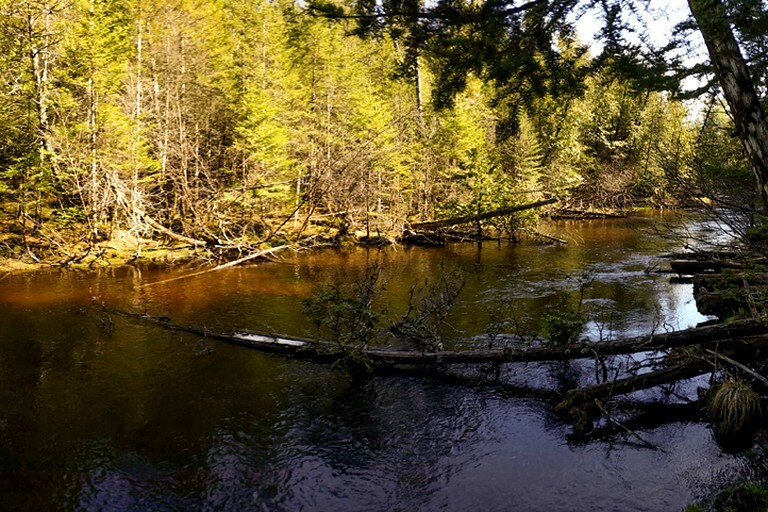 Experience the Holy Waters, Masons Tract of the South Branch, North Branch of the AuSable, Mio Trophy Water, and the famous Hex Hatch. 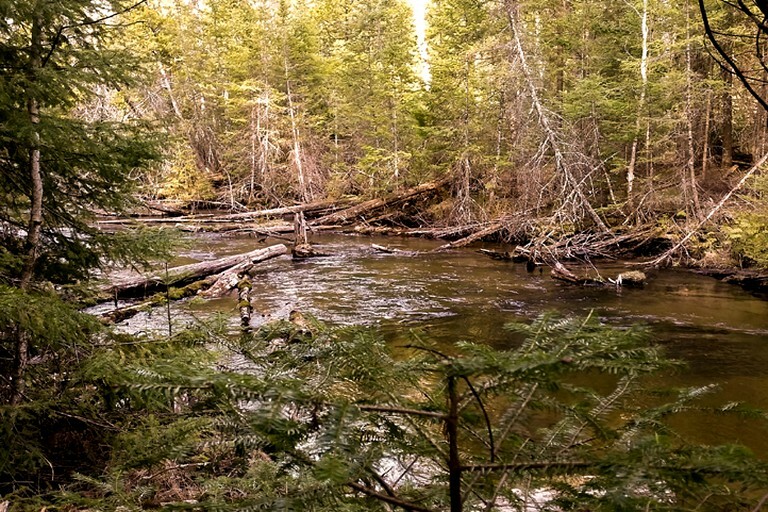 Besides having plentiful Big Creek trout and wildlife to entertain you right outside your back door - you're also only a few minutes from the famous Au Sable River—home of the "Holy Waters." 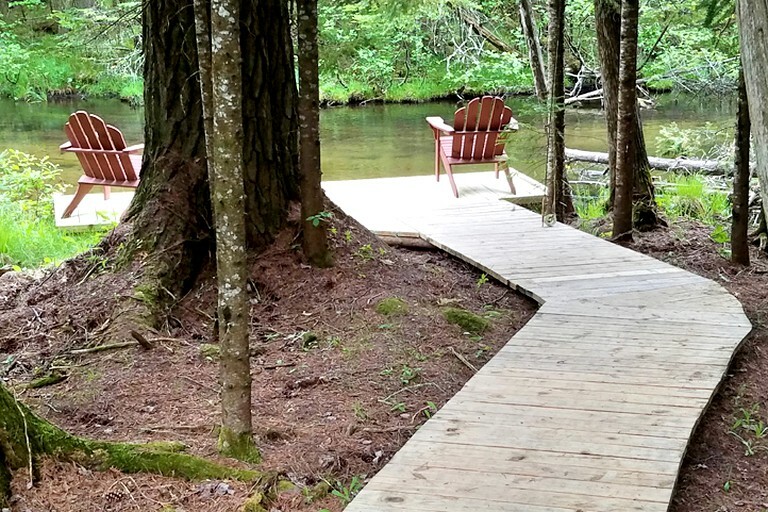 In the warmer months, common outdoor activities in the region include fishing, hiking, bird watching, canoeing, kayaking, tubing, golfing, ATV trail riding, and horseback riding. 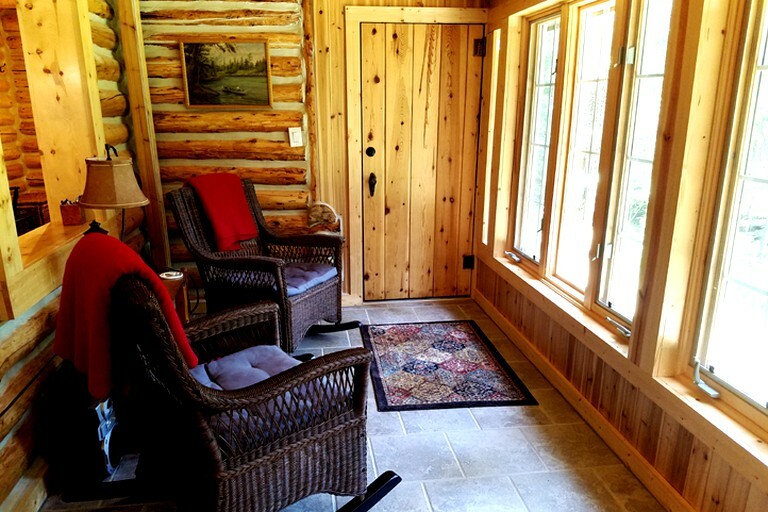 Just prior to arrival, the host will send guests the electronic door lock code for access to the cabin. Unless otherwise agreed, check-in is 4 p.m., and check-out is 11 a.m. The minimum age limit for renters is 25. The host will potentially allow renters ages 21 to 25 on a case-by-case basis after speaking on the phone first. 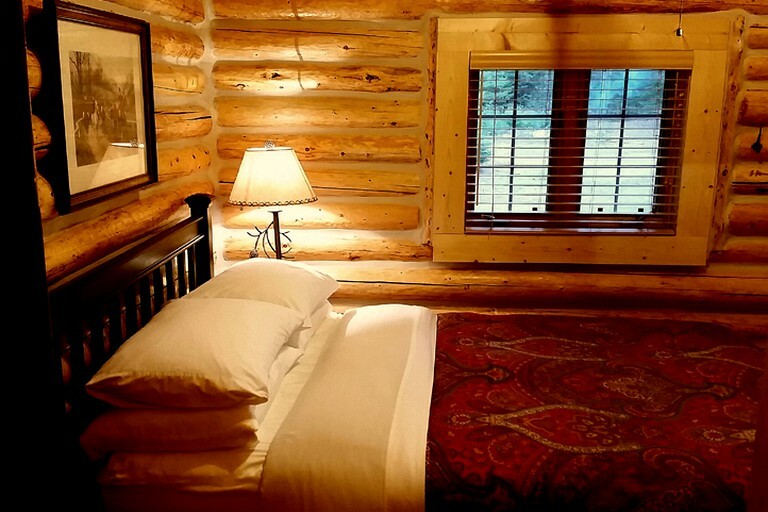 The minimum night stay is three nights.